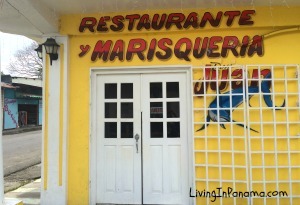 Puerto has many places to eat breakfast & lunch. Below, I share our favorite breakfast place & 4 of our favorite lunch places. Your dinner options are fewer, but growing rapidly. Just a few years ago, there were only 3 options, now there are at least 15. 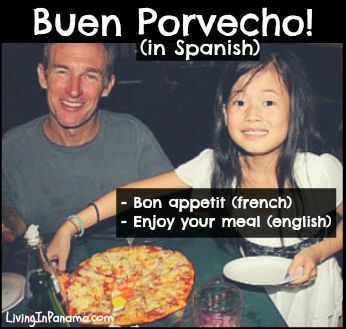 Most of the places where you can eat dinner in Puerto are described below. If you want your meal delivered, order over the phone, then hire a taxi to pick it up and deliver it to you. The taxi will likely cost you about $2. Some places offer a delivery service. NOTE: In Panama, don’t rely on a menu when ordering. 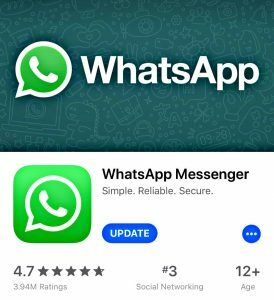 Ask what is available today. To see a map of Places to Eat in Puerto Armuelles, click the small map image below. Although they sometimes run out of eggs, we like this place. It is a quiet spot and gets good morning light. Sometimes they have fresh – no sugar added – grapefruit juice (jugo de toronja). They also have a pretty good lunch. Keep in mind they offer 2 sizes of lunch. They will assume you want the bigger one unless you say otherwise. Restaurante Marieth is located downtown, between Supermercado Puerto Armuelles and Iglesia de San Antonio (the church with the tall church steeple), and on the same side of the street. About Lunch in Panama. You should be aware of the “comida del dia” (meal of the day), which is served at lunch. (FYI – The word for lunch in Spanish is Almerzo.) Most restaurants serve a comida del dia. At a basic lunch place, that is all they serve. At slightly less basic restaurants (e.g., Don Carlos, below), they may not have the comida del dia on the menu. You need to ask for it, and it will cost a bit more. A typical comida del dia in Puerto Armuelles costs around $3. A comida del dia is typically rice (sometimes pasta or mashed potatoes), lentils or beans, a tiny salad (lettuce + tomato slice) or coleslaw, and a serving of meat (i.e., pollo/chicken, carne/beef, puerco/pork). The meat option, esp with chicken, is often served in a guisado (sauce). That is usually a tasty option to choose. Soup is sometimes offered as well. (See my article on Panama’s national dish, Sancocho, a chicken soup). We like this place very much. It isn’t much to look at, but they serve good tipica food. We think their soups are particularly good. Also their tiny salads can be better than most because they often include avocado and/or cucumbers. They also serve breakfast. This outdoor “rancho” restaurant can be hard to spot. It is located in downtown Puerto Armuelles by the dolphin statue. It is kitty corner from Supermercado Puerto Armuelles, and sits between a barber shop on one side and fruit stands on the other. 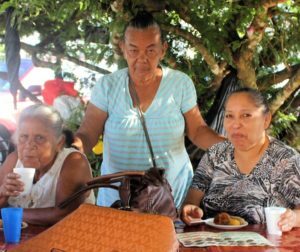 There is often a juego de cana (sugar cane juice) vendor in front of Katiuska. My whole family loves juego de cana – especially con limon (with lemon). You can bring your juice to the restaurant to drink with your meal. 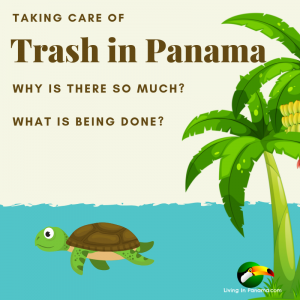 Generally, restaurants in Panama don’t have an issue with you bringing in outside food and beverages. It’s corner location, across the street from both the waterfront park and gazebo park, makes for a pleasant dining experience. 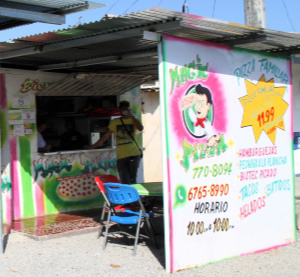 Kiosco Irma Lorena has good tipica food served by friendly people. If you like lemonade, ask if they have any limonada (i.e., “Hay limonada?”). They only have it sometimes. The only restaurant in Puerto with dining right over the water. Is a right-on-the-water bar and restaurant. Well, mostly it is a bar, but they also serve a good lunch. They have 2 TV’s – typically tuned into a sports channel. The vibe is different at night than during the day at Tisamar. This is also the place most likely to have live music. Note: The food service is a quasi-separate enterprise run by 2 women. So if they are busy, the food service hours (see below) can change. But generally, it is available. 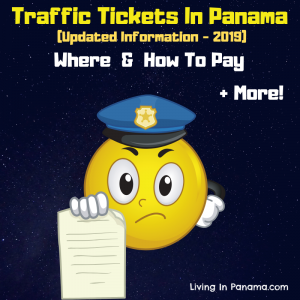 Tisamar is located on the edge of downtown, down the street from the police station & municipal buildings, and kitty-corner from Pension Balboa. You can order food at Tisamar from 9 am to 11pm, M-Thurs & 9am to 2am, Fri – Sun. I have listed Puerto Armuelles’ dinner restaurants by neighborhood. 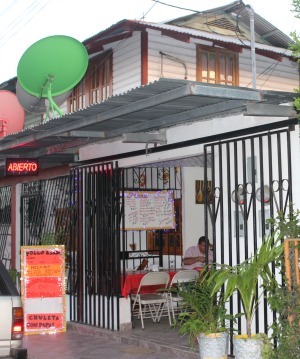 In Puerto, most dinner restaurants are open 5 – 9 or 10, except on weekends when some are open later. The scheduled hours for most of the restaurants are noted below. Usually the schedule is followed, however, at times their actual hours of operation may vary. Be prepared to be flexible. Don Carlos is located downtown, across from the waterfront park. 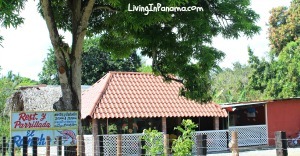 It serves fish (order it “a la plancha”), pizza, spaghetti, as well as typical Panamanian food. You can eat on the covered outside “porch” or inside with A/C. Some seafood dishes can be surprisingly expensive, check the price before ordering. Alberto Carbono, the owner, is a charming English-speaking Puerto native with good stories of Puerto’s past. For a little about him and the Carlos Alberto Carbono waterfront park, go here. Call to pre-order or for takeout: 770-7773 or 770-9773. Open Mon & Wed – Fri 12 – 8ish. Sat – 1-9. Sun – 5 -9. Closed Tuesdays. The chain restaurant, Rosti Pollo, now has a place in Puerto Armuelles. This is next to the new dentist in town. 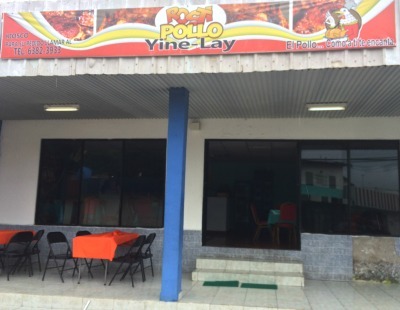 Rosti Pollo is a fast food chain restaurant found in many places in Central America. It offers fried and roast chicken, ribs, hamburgers, hot dogs, pork chops, and more. The food is decent, but the dining atmosphere is a bit dismal. Located on the 2-way road that ends in a T-intersection at the playground/park. Open 7 days a week. It has a parking lot in front. There are a couple of places in the old Super Yen building to get coffee, snacks, pizza, fried chicken, ice cream, and other foods. The food is okay. The chicken from the American Fried Chicken place is heavy on cumin and can be very greasy. Both places are popular with the student crowd. 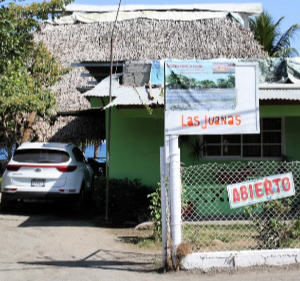 It is across the street from Colegio de San Antonio (K-12 school) and next to Andrea’s Internet café (which is also the best place in Puerto to use a computer, get copies, and buy office supplies). It is open until 7:30 – 8 pm most nights. Free wifi for customers here. They offer pizza, of course, as well as tacos, hamburgers, grilled chicken, steak, ice cream, fruit smoothies, and duros. All pizza orders come with a complimentary soda or ice tea. They also have free wi-fi for their customers. Seating is outside. Located kitty corner from the bus station serving the fincas, which is on the short side road between the police station and the main road (see map). Open: 10am-10pm. Phone: 770-8094, 6765-8990. During holidays, its hours are longer – usually 11am – 11pm. Their menu is simple: pollo asado (roast chicken) with your choice of papa fritas (french fries), patacones (fried plantains), or steamed yucca. Plus chuletas (pork chops), hamburgers & ice cream. It has no sign out front, except when it is open. Then they put out a sandwich board and light the abierto (open) sign. It is 1 block from the downtown playground & 1⁄2 blk from the water. 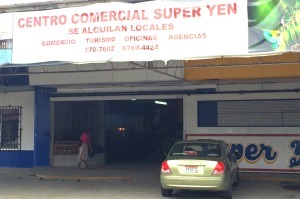 From the main road to San Vicente, turn left at the yellow-fronted MELO y CIA store. It is on the right. Open most nights after 6 pm. Occasionally, they will be closed for a week or weeks at a time. A good place to eat, but be ready to change your plans if they are closed. You can call them at 6821-8249 or 6468-2855 to see if they are open or to order. Dine inside with A/C or outside by the beach. Big Daddy’s is on the beach. It’s inside dining area has A/C and faces the hotel’s pool. Outside it has dining by the beach and by the pool. It is about a 5-minute walk from downtown. Big Daddy offers mixed drinks and wine, in addition to the usual beer selection. You can order burgers, salads, shrimp dishes, fried chicken, pizza, and more. They also offer breakfast, American or Panamanian, until 10 am. (American: fruit, scrambled eggs, bacon, toast, coffee, and juice. Panamanian: fruit, fried eggs, flank steak, 1 hojaldras (Panamanian fried bread), 1 tortilla (fried cornmeal patty), coffee and juice.) You can also order breakfast a la carte. Las Juanas is right next door to Big Daddy’s. It is in a beachfront rancho. Go down the driveway to the left of the green house (pictured) to enter the rancho. We really enjoy the on-the-beach ambiance of this place. 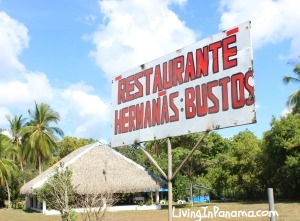 They serve seafood, chicken and other typical Panama foods. They have a chalkboard displayed with the day’s selection. I think they make the best limonada (lemonade) in town. We like to order, then take a stroll on the beach while the food is prepared. A word of caution, its seafood can sometimes be surprisingly expensive. So make sure to ask, or check out the prices on the chalkboard. If you want to keep costs down, ask for their comida del dia. It is inexpensive and tasty, though often only available at lunch. Phone: 6921-4536. Enjoy a beer and a meal on this beautiful beach. 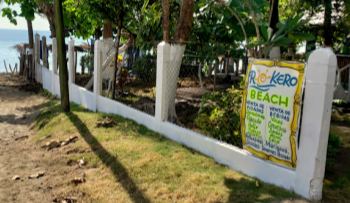 With the addition of this restaurant, San Vicente now has 3 beachfront eateries in close proximity. (Rokero Beach is about 100 yards from Las Juanas above, see map). (It is also near some of our beachfront properties for sale). Rokero serves seafood, including ceviche and sopa de marisco, as well as the usual chicken, pork, french fries, and more. A meal costs from about $4 to $12. It has a bar that serves non-alcoholic drinks such as coconut juice and soda, as well as wine, beer. There is often an informal expat get-together here on Sundays. 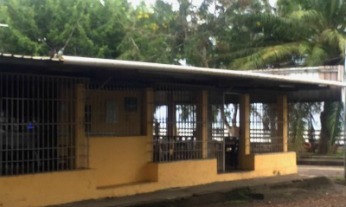 For decades this location was simply the home of the Puerto’s Minister of Trajabo (labor). About a year ago, he created a low-key place to have a drink. Now one of his son’s (and his namesake), has created a bar and restaurant with lots of seating, even a trampoline ($1 for 20 minutes of bouncing). It is open from around 11am to 11pm. The family still resides in the house, so those hours may vary, depending upon life events. They have many video and photos on their facebook page, here, but no menu. 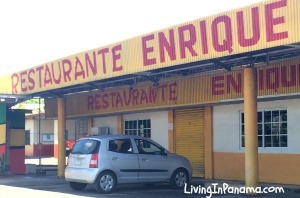 On the main road into town, this restaurant serves Chinese and Panamanian food. This Chinese restaurant is on the main road, near 2 car wash places. Chinese menu: chow mien & chow fan with chicken, pork, shrimp, calamari, seafood, or, upon request, vegetables. Plus hambao, siumai, and fried wontons. 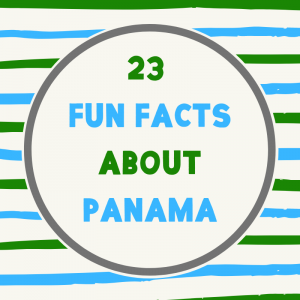 They also offer typical Panamanian fare including roasted chicken & soup. Open most days, 10 am- 10 pm. Phone: 6366-6111. Great place for meat lovers. Ari BBQ – breakfast too! 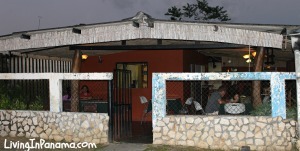 Ari BBQ is an open-air, family restaurant operated out of an old Chiquita Banana-built house. It offers BBQ chicken, sausages, beef, pork chops, beef sandwich, French fries and more. That is, lots of meat, but no veggies. It is on the main road, near ESPA (the big school across from the fairgrounds. I wrote a review of Ari BBQ, which includes its menu. Since that time, they have added a breakfast menu. Open 7 days a week starting at 5pm-ish. Call to order or for a delivery: 6802-2163. A nice place to eat. On a residential street in Rio Mar, Pilo’s has no sign. It is not far from Enrique (below) and Puerto’s big baseball stadium. An old, defunct gas station is on the corner where you turn off the main road for Pizza Pilo (see map). All seating is open air (under a roof). They sometimes have a TV. Enrique is a Chinese restaurant. But I wouldn’t necessarily recommend its Chinese food. We think its best items are sopa de marisco (seafood soup) and fried chicken. It has A/C & TV. Enrique’s is on the main road as you enter town, across the street from a gas station and next to a fire station. It is not far from Pizza Pilo and Rio Mar’s big baseball stadium. El Pulpo is a seafood restaurant in the waterfront area of the Rio Mar neighborhood. It is one block back from the water, on the same road as the one-lane bridge connecting Downtown/Pueblo Nuevo and Rio Mar. It has very tasty seafood. 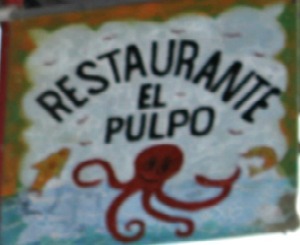 Read our review of Restaurante El Pulpo for more. The sign says El Rancho. But the locals call it Restaurante Luz, because Luz owns it. 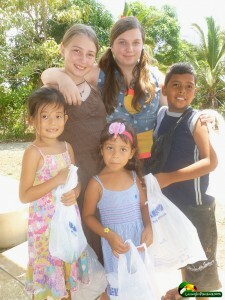 It is on the road to the Corazon de Jesus neighborhood. It is run by a wonderful family & their staff. It is very popular. On Sundays it can get quite crowded. 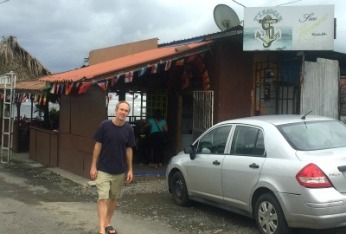 It is the place to eat seafood in Puerto Armuelles. Located just down the street from El Rancho. 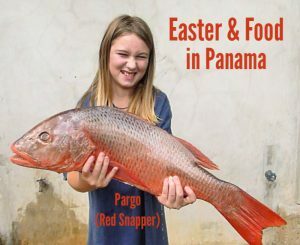 They serve the usual Panamanian food. The food is good and is served pretty promptly. The service also tends to be both good and fast. Please share your experiences eating out in Puerto Armuelles below. 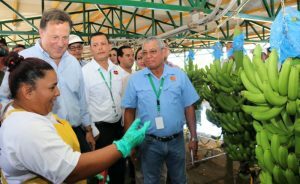 Keep up-to-date on Puerto Armuelles. Sign up for our monthly Newsletter. Hi, could a vegetarian (.no meat or fish, dairy ok) survive there? Thanks! Thank you for this site. 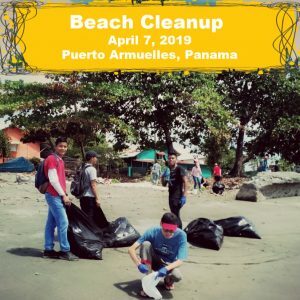 We are a family of 11 and although my husband is originally from Panama I am still nervous about relocating from there. This sounds like a nice area to relocate to. Thanks again! When was this written? 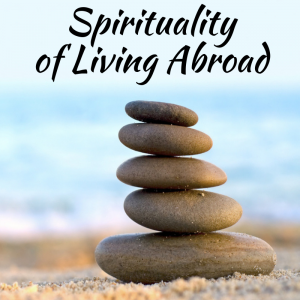 What is happening in spring of 2015?